"To the Boorstein Family: With a heavy heart, I just read..."
"To the Boorstein Family: I just learned of Allen's passing,..."
"To the Boorstein Family: My heartfelt sympathies go out to..."
"May the wonderful memories of your Dear One forever remain..."
a businessman and opera lover passed away on Monday, February 12. He was deeply devoted to his wife of 68 years, Jane Kulla Boorstein. Allen grew up on Long Island, attended the George School in Pennsylvania. 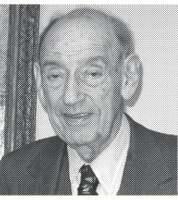 He served as a radio technician in the Navy during World War II and returned to Cornell University to complete a degree in electrical engineering in 1946. He graduated from the Harvard Business School in 1950. After many years of work he became the owner and president of Rob Roy, a boys shirt company, founded by his father August Boorstein in 1922. Allen modernized Rob Roy's approach to manufacturing, sales and management; he completely integrated and eliminated racial segregation of bathroom and drinking facilities in the company's factories in Maryland. Allen sold Rob Roy in 1979. In the 1980s he studied System Dynamics at MIT and became a passionate advocate for teaching systems thinking to young students. He is survived by his wife Jane, sister Edith, daughter Gail, two sons James and William and grandson Nicolas. Funeral services Wednesday, February 14, at 11:30am at Frank E. Campbell "The Funeral Chapel," 1076 Madison Avenue, New York, NY.